Branson's Nantucket is a premier destination, ideally situated in beautiful Branson, MO, otherwise known as the live entertainment capital of the world This new and luxurious resort is fully appointed making this a home away from home. Enjoy the expansive lake views of Table Rock Lake and the surrounding mountains from your own deck. Located in Branson, owners will have access to a variety of fun-filled activities for every member of the family, including water parks, go carts, miniature golf, wineries, fine dining and shopping. Visit famous Silver Dollar City, which features rides, attractions, crafts and a wide variety of live entertainment. Spend a day enjoying over 720 miles of shoreline at the lake with boat and Jet Ski rentals, fantastic fishing and a variety of water activities. This is the ideal retreat for the most discerning owner! Buyer may receive a title fee credit, inquire for details! Maintenance fees now paid until 2021! Close to Silver Dollar City and other attractions and entertainment! Buyer may receive a title fee credit, inquire for details! With RCI membership, week exchanges for 52,700 RCI points! Buyer may receive a title fee credit, inquire for details! Price just reduced! UNLIMITED VACATION TIME! STAY ANYTIME FOR UP TO 30 DAYS! Buyer May Receive A Title Fee Credit, Inquire For Details!! Price Negotiable! Peaceful resort on Table Rock Lake! Floating week of your choice! Buyer may receive a title fee credit, inquire for details! Motivated Seller! All reasonable offers welcomed! Location is full of various options for entertainment! Buyer may receive a title fee credit. Price is negotiable. Reduced price! Motivated to sell! 2 weeks per year on contract! Buyer may receive a title fee credit, inquire for details! Luxurious retreat with stunning views of Table Rock Lake! Floating week! Buyer may receive a title fee credit, inquire for details! With RCI membership, week exchanges for 17,566 RCI points! Buyer may receive a title fee credit, inquire for details! Beautiful resort in Branson! Floating week of your choice! Reasonable Offers considered! Buyer may receive a title fee credit, inquire for details! Price Reduced! 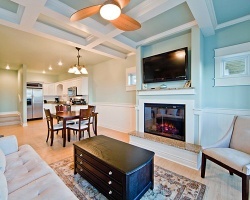 Nantucket styled resort in Little Nashville! Every 3 years usage! Buyer receives complimentary closing credit; inquire today! Enjoy week 25 in the live entertainment capital of the world! Buyer may receive a title fee credit; inquire for details! 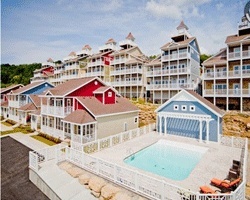 All reasonable offers considered for this luxurious retreat in Branson! Buyer may receive a title fee credit, inquire for details! Choose your desired dates each year in Branson! Each suite has a view of Table Rock Lake! Buyer May Receive A Title Fee Credit, Inquire For Details! 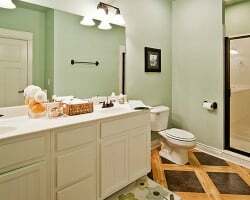 Close proximity to attractions and entertainment! Units with all the amenities of home! Buyer May Receive A Title Fee Credit, Inquire For Details! Highly Motivated Seller! Willing to Negotiate! Buyer May Receive A Title Fee Credit, Inquire For Details! Relax & enjoy the scenic mountain views year round! Close to table rock lake! Buyer May Receive A Title Fee Credit, Inquire For Details! Annual floating, red season week! Location is full of various options for entertainment! Buyer May Receive A Title Fee Credit, Inquire For Details! 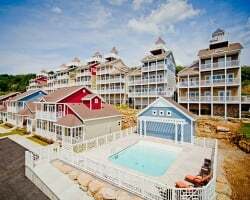 Resort features scenic views of table rock lake and the ozark mountains! Buyer May Receive A Title Fee Credit, Inquire For Details! Peaceful resort, yet near many exciting activities! Buyer May Receive A Title Fee Credit, Inquire For Details! Resort features beautiful views of table rock lake! Buyer May Receive A Title Fee Credit, Inquire For Details! Resort has amazing views of table rock lake! Buyer May Receive A Title Fee Credit, Inquire For Details! Ideal location to enjoy plenty of live entertainment, activities and more! Buyer May Receive A Title Fee Credit, Inquire For Details! Explore Branson during any week you choose every 3 years! Buyer May Receive A Title Fee Credit, Inquire For Details! Highly motivated seller! Enjoy beautiful views of Table Rock Lake! Buyer May Receive A Title Fee Credit, Inquire For Details!